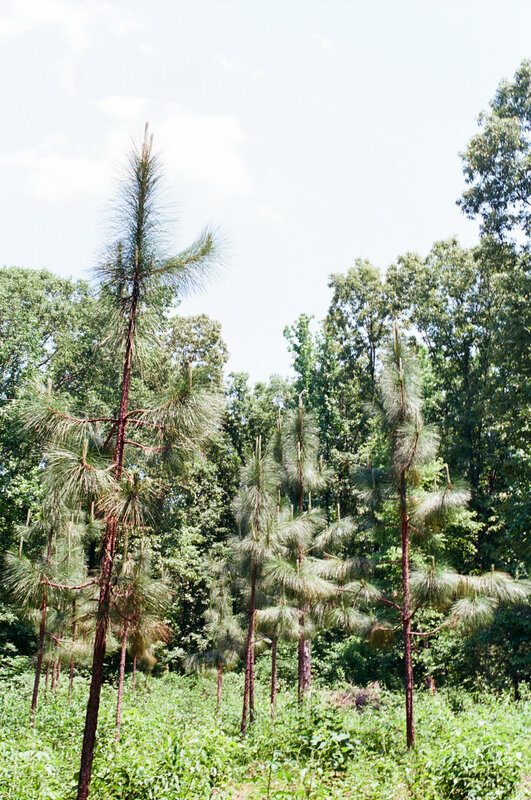 Since 2007, Ruffner Mountain has made efforts to preserve and propagate longleaf pine (Pinus palustris) on its property. Beginning at the oldest remaining longleaf pine on the mountain, near Mine #4, we removed invasive plant species within and near the longleaf pine plot, including Japanese honeysuckle (Lonicera japonicum) and mimosa (Albizia julibrizzin). 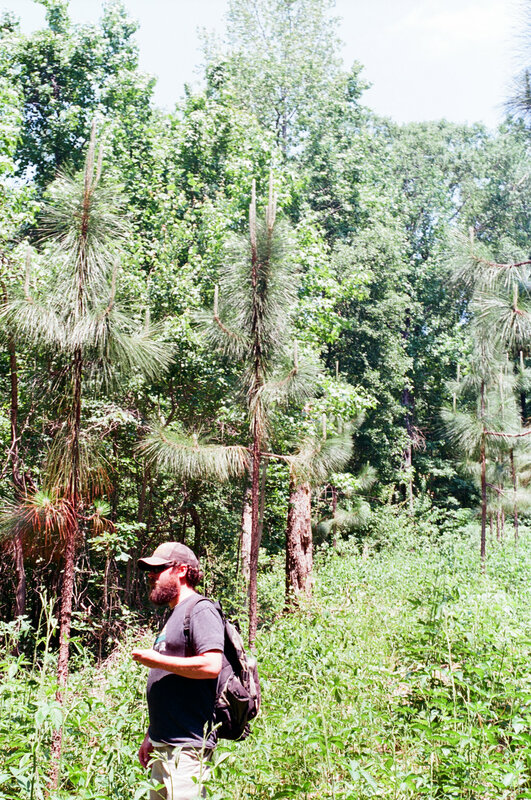 Methods for invasive removal include the use of hand tools and hand pulling, as well as cut-and-spray methods. See additional photos of longleaf pine Plot No. 4 below.